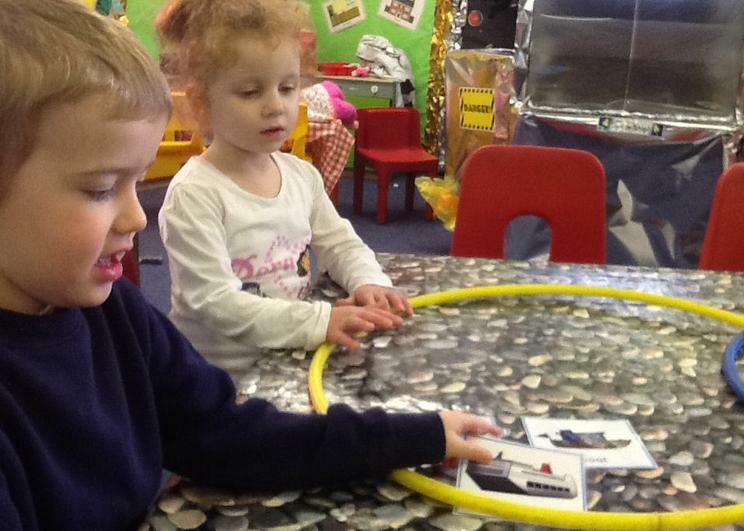 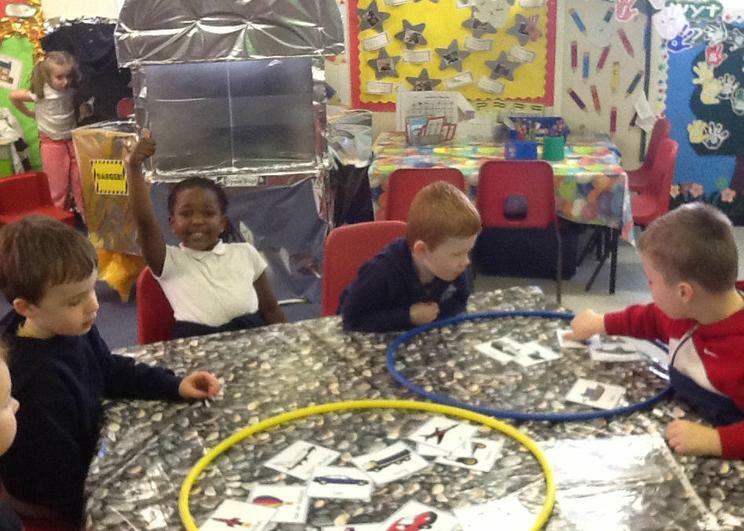 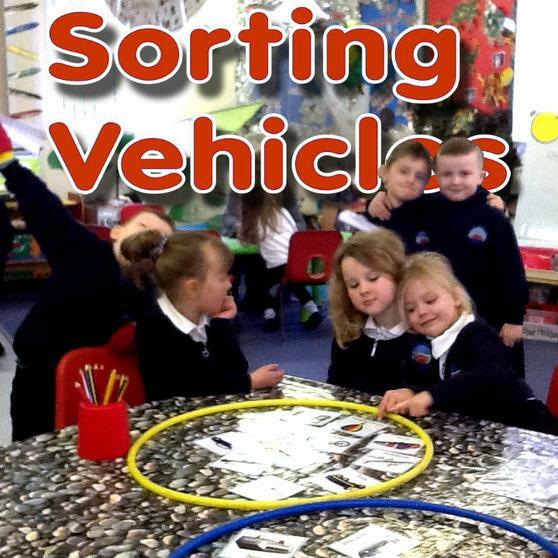 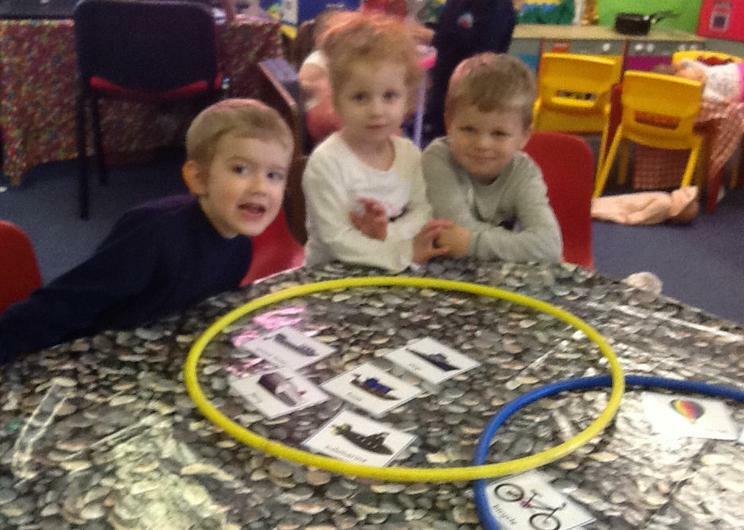 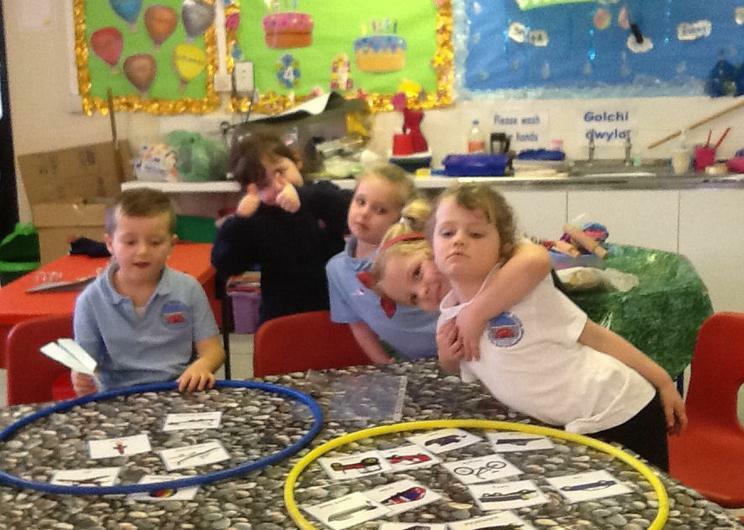 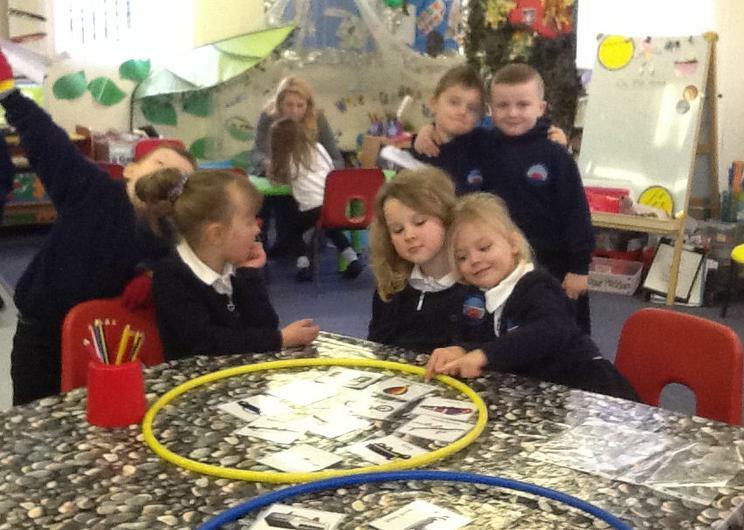 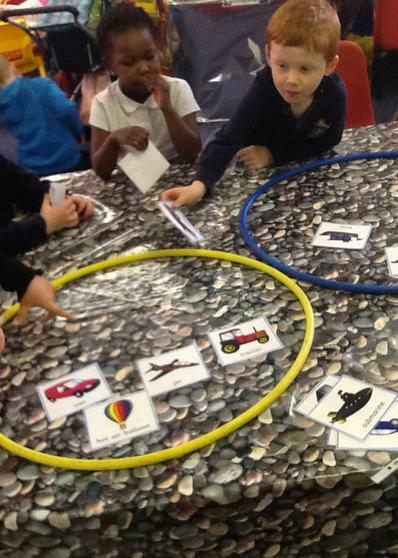 We have been soting different types of vehicles based on how they travel. 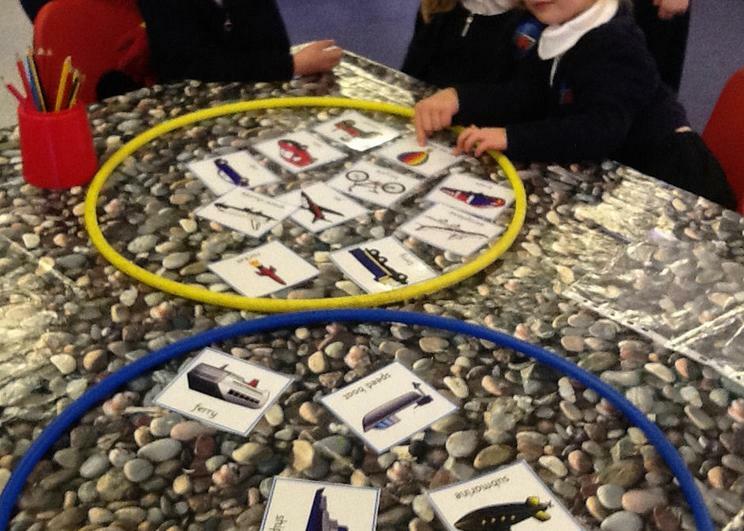 Some go on land such as cars some go on sea such as boats and some go through the air. 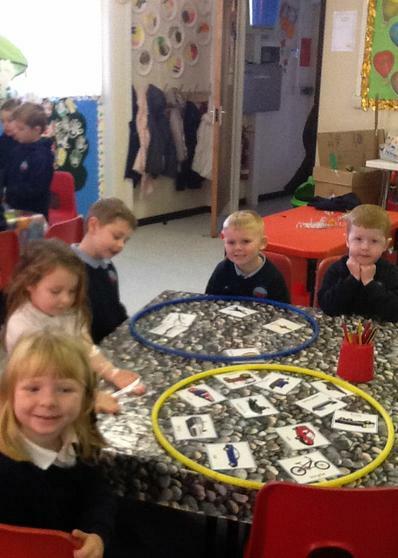 It's the type of thing you can easily play at home, just make some circles with a piece of string.